Bayt Al-Suhaymi is an Islamic house located close to Muiz street in a small alley. 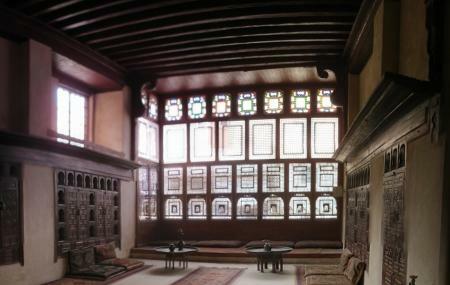 The house is famed for its spectacular wooden balconies, classical rooms with Arabic calligraphy and wooden panels. If Islamic architecture and ancient wooden work interests you, the Bayt Al-Suhaymi is quite a recommended visit for you when in Cairo. The house is impressive and classic. On special occasions, the house hosts music concerts as well. How popular is Bayt Al- Suhaymi? People normally club together Islamic Cairo and Bazar Khan El Khalili while planning their visit to Bayt Al- Suhaymi. People also prefer to start their day with Bayt Al- Suhaymi.